Prices at the pumps in Sudbury have ballooned to more than $1.30 a litre in recent weeks with no sign of dropping, leaving many drivers with a lot of questions. Dan McTeague is a senior analyst with the website GasBuddy.com. He says he's most often asked why gas prices are the way they are. Prices at the pumps in Sudbury have ballooned to more than $1.30 a litre in recent weeks with no sign of dropping, leaving many drivers with a lot of questions. Dan McTeague is a senior analyst with the website GasBuddy.com. He says he's most often asked why gas prices are the way they are. McTeague says gas prices are made up of different components, for example, 39 to 40 cents a litre is taxes. In Ontario, cap and trade adds 4.6 cents a litre. The price for wholesale gas is stable across the board so there's no competitive advantage. 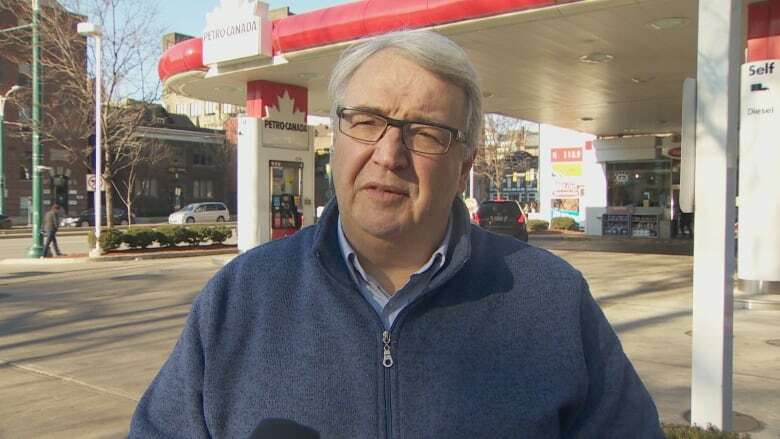 Then, he says gas station owners usually add another 10 cents a litre to cover their overhead. It's called the retail margin. The factor that drives costs up or down the most is the value of the Canadian dollar, he says, and it's one most people overlook. "The big one is the disparity between our currencies and back in the time when oil was a hundred dollars a barrel, our dollar was trading pretty much on par with the U-S," says McTeague. He says if were were buying gasoline today with the loonie on par with the U.S. we'd be saving 14 or 15 cents a litre. "The question of course is, why is the loonie weak?" says McTeague. "There's a number of reasons for that. But one of them is the lack of Canada's ability to get international prices for its oil. In other words, without being controversial, blockage of pipelines, inability to get our product to global markets means a serious discount of our number one export, and because that export is so badly devalued it means weakness in the Canadian dollar versus the U.S. greenback." In briefer terms, McTeague says there is a direct correlation between low oil prices, a weaker loonie, and the price you pay at the pumps. Prices can vary by geography, especially in areas surrounding First Nations. He says First Nations don't have to pay federal tax on their gasoline so they sell it for less, usually about ten cents a litre less. That leads to what McTeague calls gas station "shenanigans" where other gas stations cut their retail margin in an effort to compete. He says that can put some of them out of business. How high can prices go is another question McTeague is frequently asked. For now, he says he expects a jump of about four cents a litre because of the switch from winter to spring fuel. He says it is more expensive because of additives to the gasoline to make sure it doesn't evaporate too quickly. In the long term, he says $1.30 a litre seems to be the point that triggers conversation. Looking toward the future, McTeague jokes that anything can happen. "Maybe in ten years they'll be seen as passé and the new norm will be $1.60 a litre"